Everybody likes doughnuts, right? 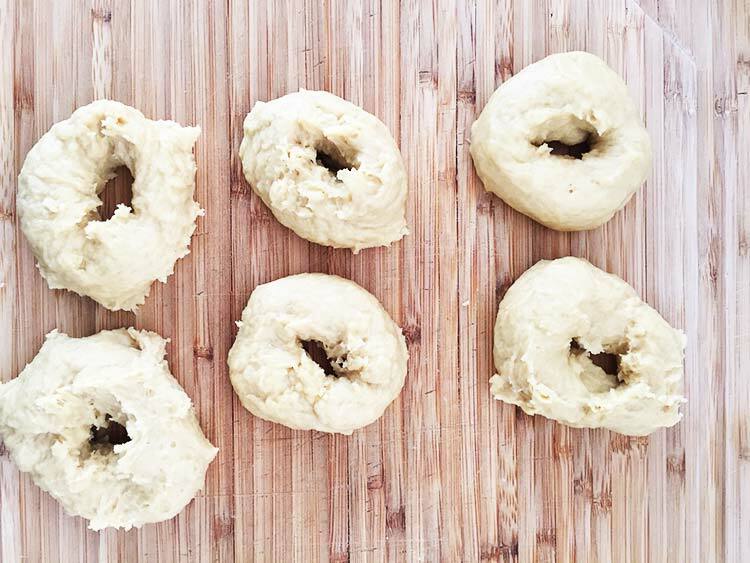 Making them yourself is not difficult at all, and even better making vegan doughnuts is a breeze. A lot of recipes for doughnuts that I have seen contains egg. I don’t really see the reason for this since the dough binds very well without egg and it doesn’t add any extra flavour. So egg-less doughnuts it is! The process of making them are as easy as mixing all the ingredients, knead it into a dough and then fry them for a while. I will get to that in more detail later on. 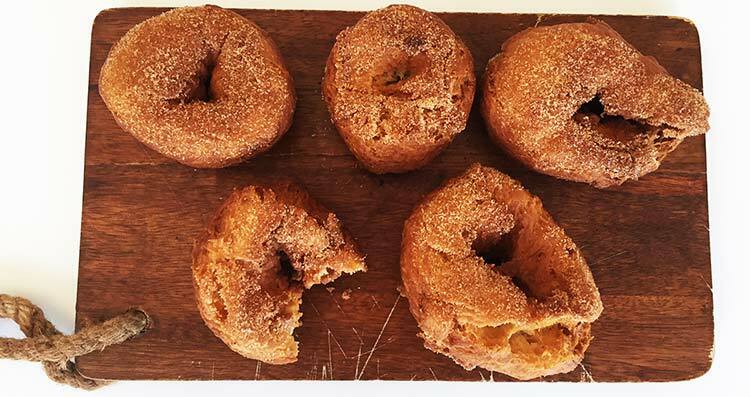 I like to keep it simple so my topping is a mix of light brown sugar and cinnamon that I dip the doughnuts in before I devour them. You can be creative here and make a glaze, or why not dip them in this quick and easy blueberry, raspberry and chia jam? Anyway, you want it the base for the doughnuts and they are, as all my other recipes, 100% plant-based and vegan. Add soymilk, non-dairy butter and oil to a saucepan until the butter has melted and all the ingredients have combined. While you’re waiting for the butter to melt, bring out a medium-sized bowl and mix flour, baking powder, salt and sugar. Make a small well in the middle of the dry ingredients and carefully pour in the liquid in the middle. Gradually work in the flour into the liquid until you have a smooth and kind of elastic dough. Now it is time to form the doughnuts but first, you need to heat up the oil. Bring out a frying pan with high edges and pour in the oil and put it over high heat. 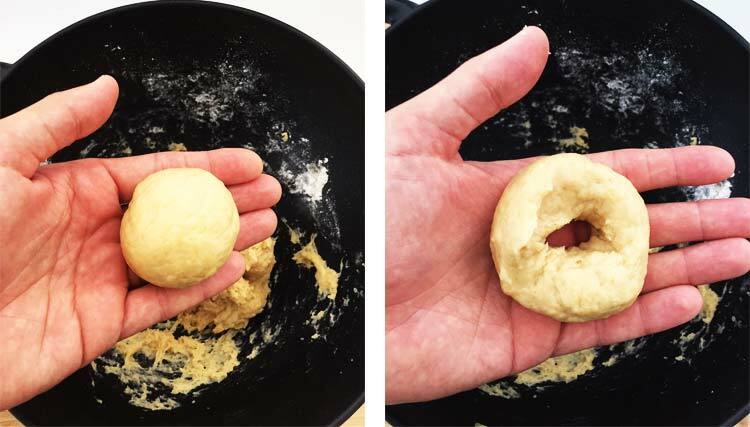 Grab a part of the dough and roll it up to a ball in your hand, then push your thumb through the middle to create a hole. Repeat this process with the rest of the dough. Carefully lower them into the oil using a ladle and cook them for about 5 – 10 minutes, depending on how crispy you like them. The longer you fry them the crispier they get. Flip them over after about half the time so that they cook evenly. As I mentioned earlier, I like my doughnuts simple so I just mix up some light brown sugar and cinnamon and dip the doughnuts on each side after they have cooled off a little. That’s it! 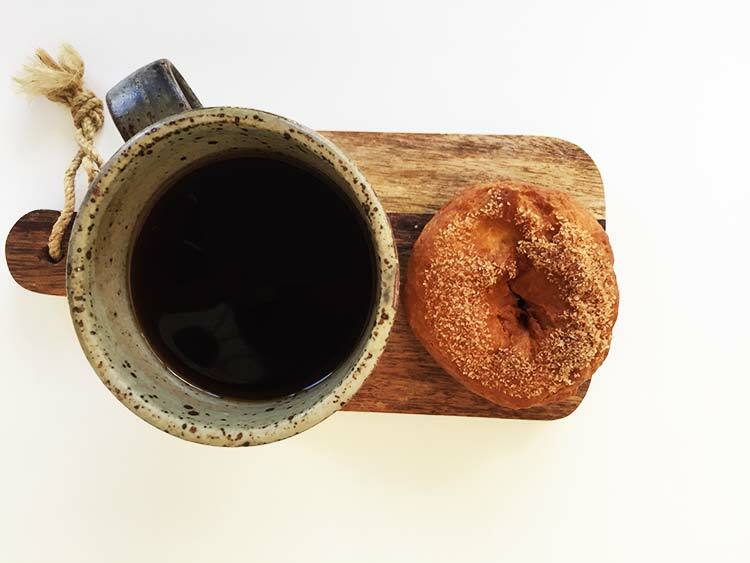 Enjoy these vegan doughnuts with some coffee and let it sink in that you make them yourself! If you like this recipe, please share it, that would make me so happy! 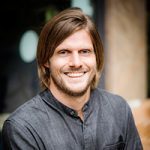 Also, if you like my recipes you find me on Facebook, Instagram, Twitter and Pinterest. Feel free to leave a comment below if you have any questions! 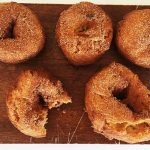 Delicious vegan doughnuts that are crispy on the outside and sweet and tangy on the inside. Add the butter, soy milk and 2 tablespoons of sunflower oil to a saucepan and put over medium heat. While waiting for the butter to melt, whisk together flour, baking powder, light brown sugar and salt in a medium-sized bowl. Create a well in the middle of the flour mixture and pour in the liquid. Gradually combine the flour mix and liquid with a ladle until you have a smooth dough. 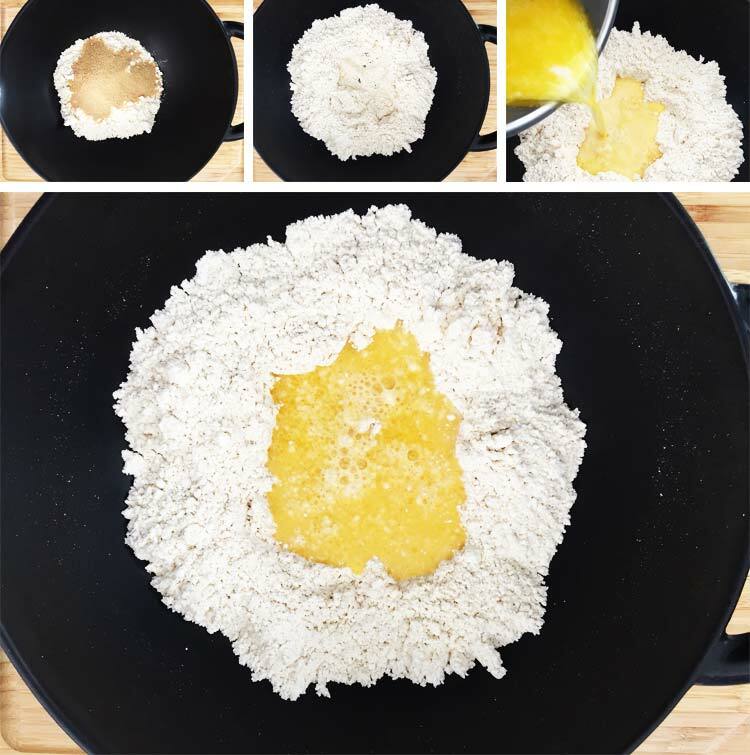 Heat up the sunflower oil in a frying pan with high edges. Make 6 balls and put your thumb through the middle to create the doughnut shapes. 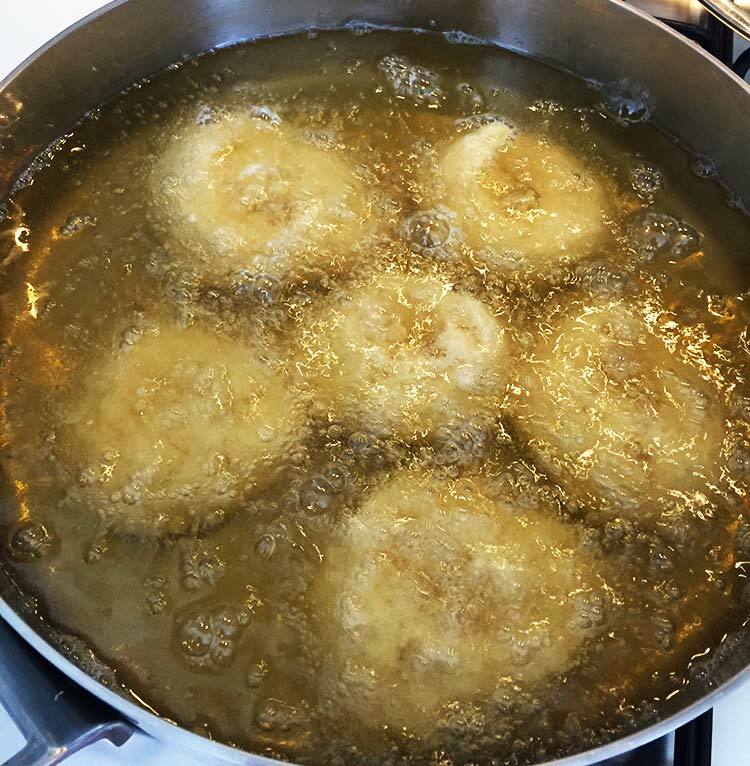 Fry the doughnuts in the oil for about 5-10 minutes depending on how crispy you like them. Let the doughnuts cool off on some kitchen paper towel while you combine the sugar and cinnamon for the topping. Dip each side of the doughnut in the sugar.